L for a love letter you write to someone special. Whether it’s a spouse, a child, or a dear friend, take some time to write down the reasons they are so special to you. It will be a gift they treasure for a long time. O for organizing the family photos in a new way. Create a slide show on a DVD, a photo book or calendar, or even a family website where you can share pictures and stories with out-of-town loved ones. You’ll preserve old photos and help create new memories. 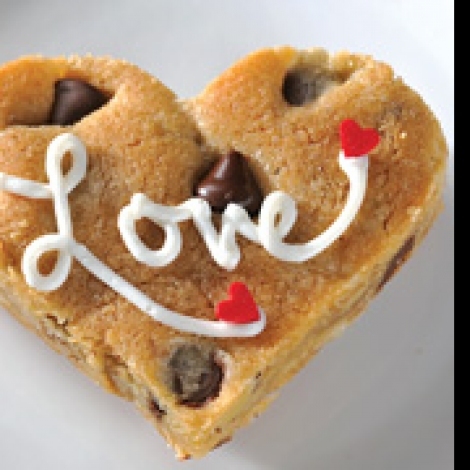 V for Valentine cookies like these Chocolate Chip Cookie Hearts. They’re a simple way to share some love. 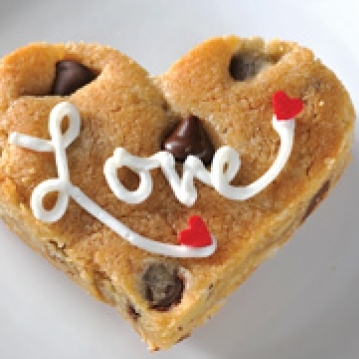 Even the youngest bakers can help make them by pouring ingredients and using cookie cutters to make the heart shapes. Have fun decorating them with pink, red and white icing and Valentine sprinkles. E for an elegant dessert like this Chocolate Raspberry Mousse Pie. It’s easy enough for anyone to make, yet pretty enough to show off at a Valentine’s Day party or a romantic dinner.